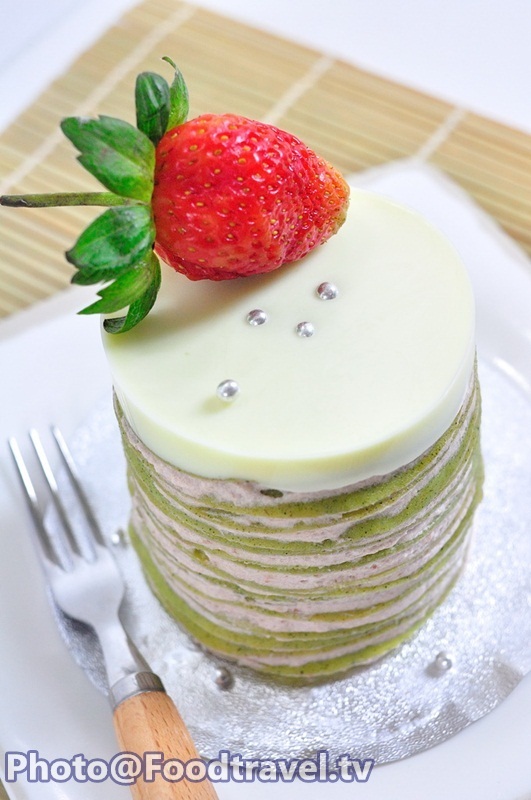 Green Tea Crepe Cake - Soft scent of green tea alternating layers with red bean cream. It’s light and fluffy. 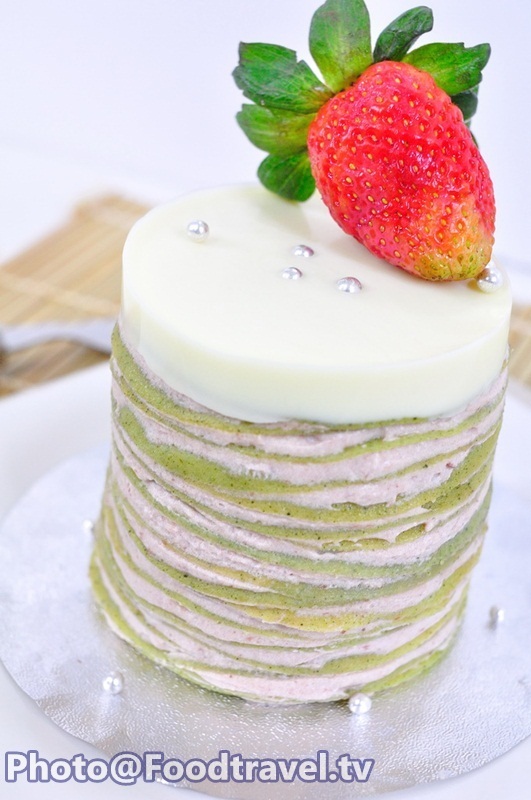 We serve as a small piece of cake that different from basic crepe cake. 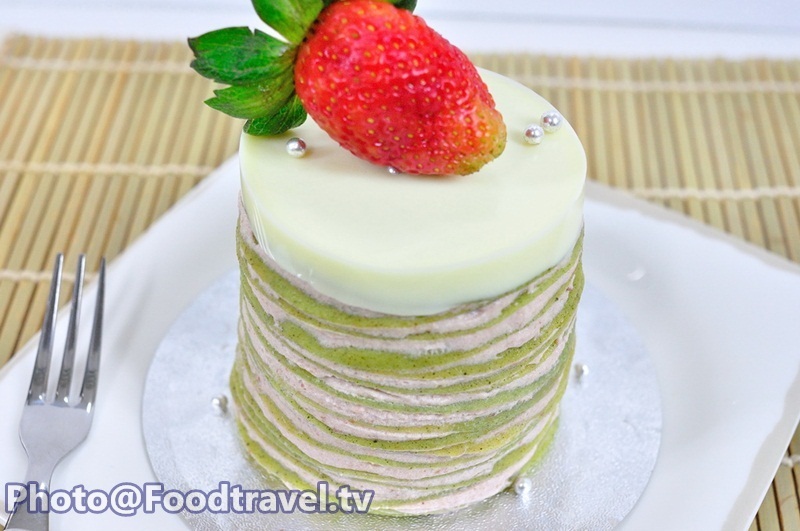 Great choice for beginners learns to make bakery. Also not much equipment! 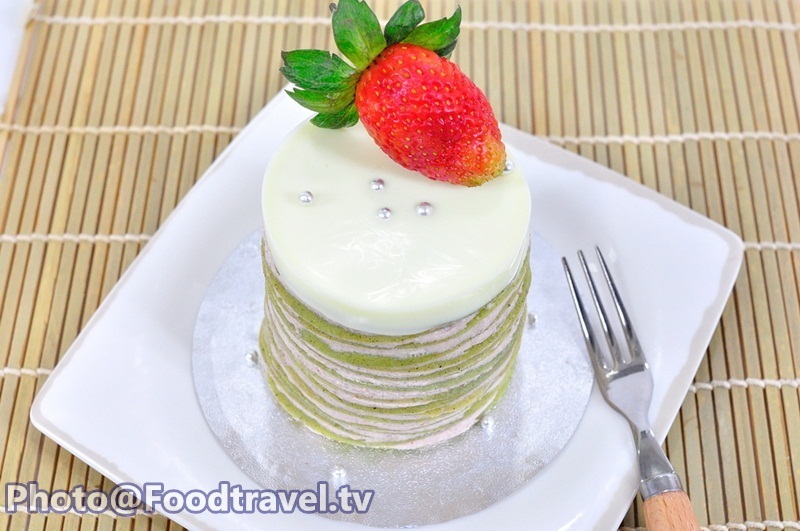 Let’s serve ‘Green Tea Crepe Cake ‘ at home and you will not disappointed with this menu. 1. Boil milk over low heat until warm. 2. Sift green tea powder and stir until dissolve well. Continue boiling and set aside. 3. Beat egg and sugar fluffy. Then add cake flour and beat until combine. 5. Gradually pour boiled milk into the egg. Continue beating until the mixtures are well combined. 6. Gradually add the melted butter and mix together again. 7. 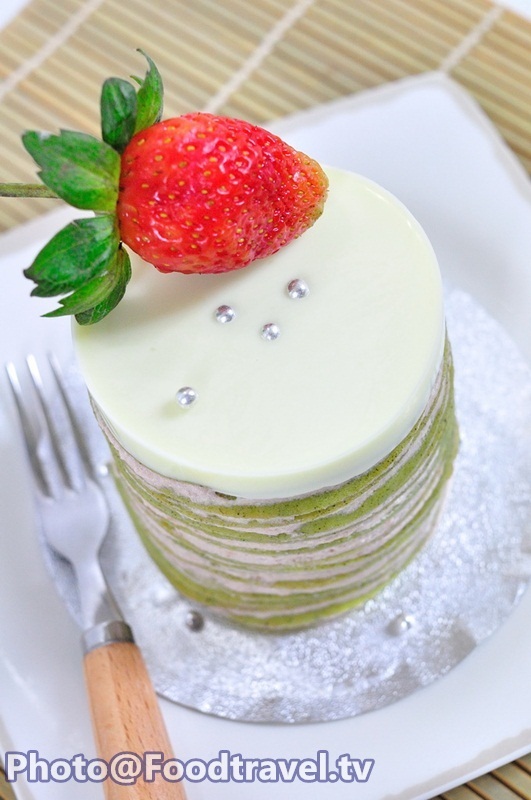 Set crepe in the refrigerator for 1 hour. 8. Prepare the pan by painting butter all over the pan. 9. Stir crepe mixture again in a mixing bowl. 10. Add crepe on a pan and roll evenly over. 11. Notice the crepe batter in the pan, the pads swelled up. Show that flour crepe is cooked. 12. Set crepe on wire rack. 13. Every time you start frying crepe flour, paint butter on the pan and stir the mixture every time before frying in a pan. 14. Fried crepe flour until the dough runs out. 15. Put crepe sheet for 10 pieces. Then press on the dough (7 inches mold size). 16. 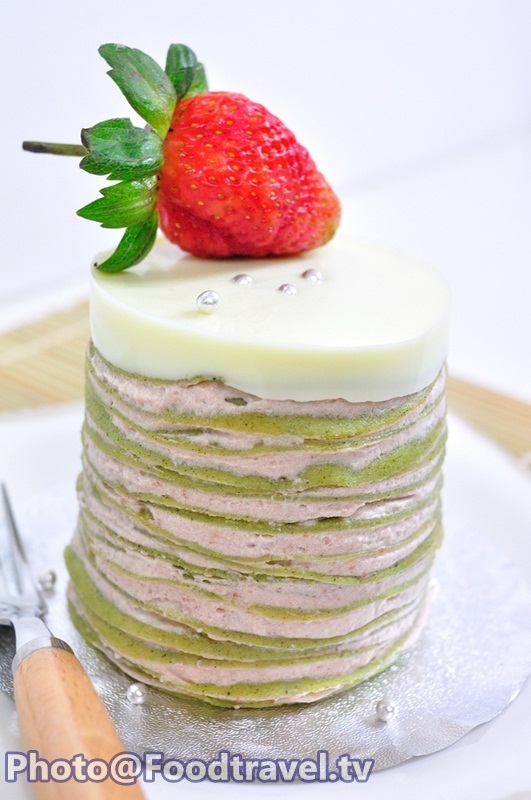 Add crepe alternate with red bean cream. 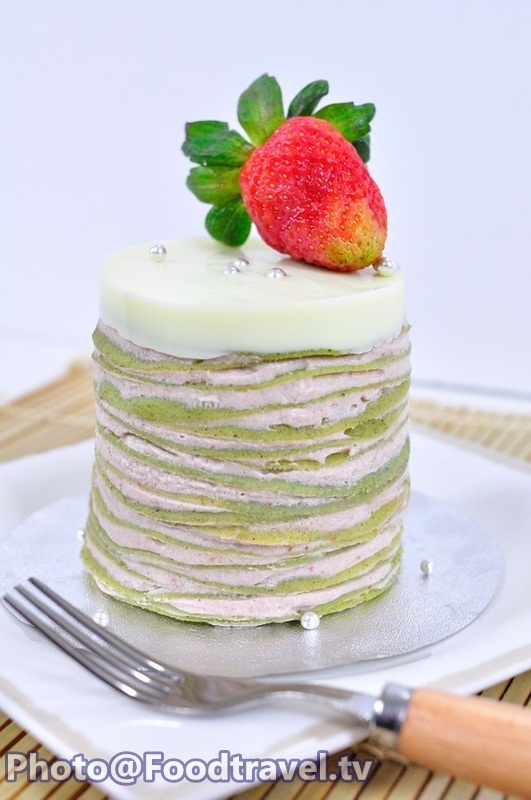 Spread cream smoothly and place another piece of crepe for about 20-25 layers. 17. Set in the refrigerator for about 30 minutes. 18. Wrap plastic film around the crepe. 19. 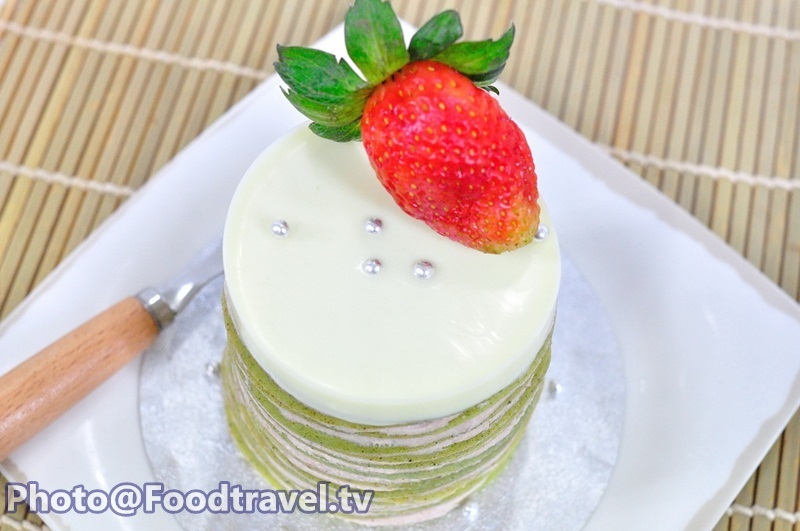 Melt white Chocolate with microwave or Double boiler until chocolate dissolve well. 20. 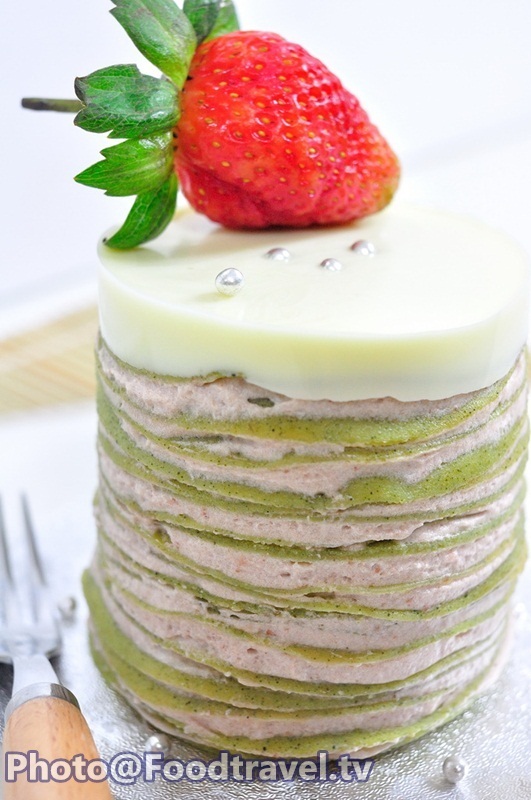 Add melted white chocolate on crepe cake. 21. 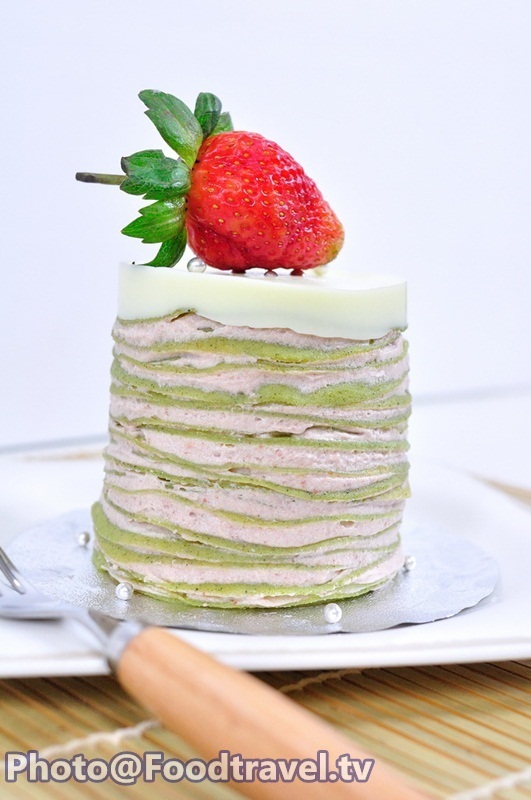 After set aside crape cake for about 10 minutes, ready to serve.